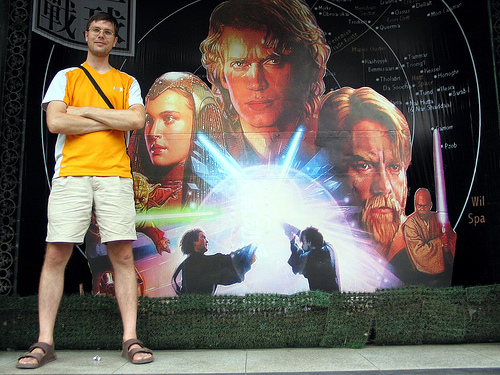 The weather in Yichang is getting warmer, currently in the low 90s with plenty of humidity. 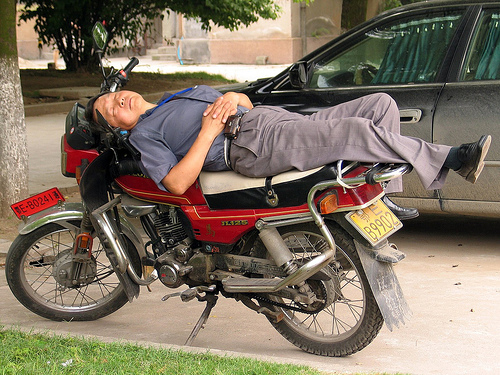 When the weather warms up many people avoid the mid-day heat by taking a nap…wherever they can. We recently found out we have a leak under the sink. 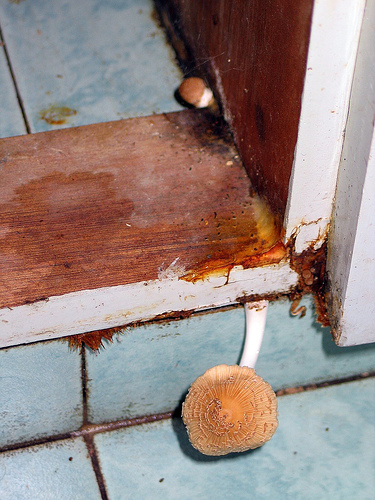 Well, the other night, while we were visiting friends, this mushroom sprung out from under our sink cabinet. Guess we’d better get that sink fixed. 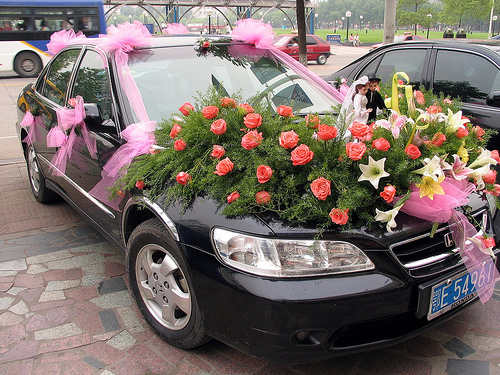 When cars are decorated for weddings, there is no food wrap or shaving cream involved. Yes, those are large bride and groom figurines on the hood. 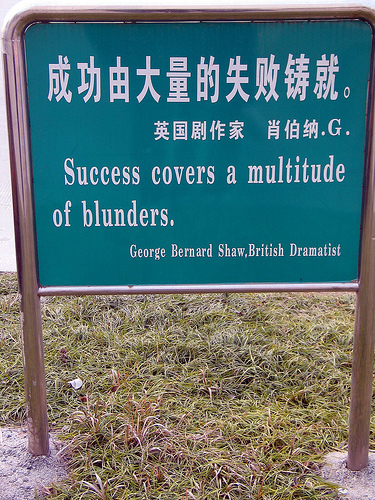 Here’s our campus encouragement: Success may cover a multitude of blunders, but those blunders sure lower the grade point average.